This ‘Wine Wednesday’ is all about the red, white and blue. Timed with the 4th of July, this Limited Edition bottle by Chandon is perfect for a little celebratory bubbly while the fireworks burst overhead. 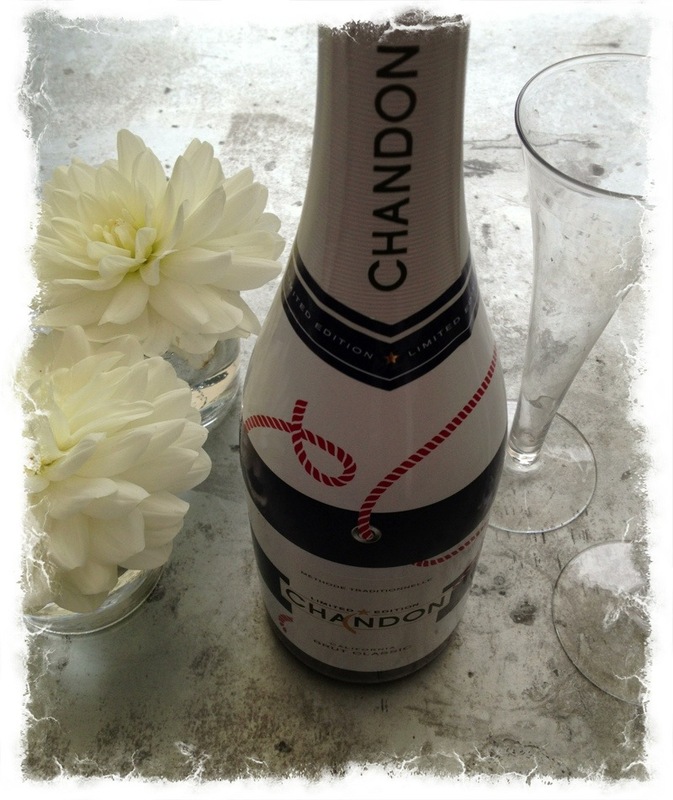 I typically like my bubbles French, but at this patriot time of year, Chandon is the ticket. The release of this cool bottle makes it especially swell for a host/hostess gift. What is in the bottle is as yummy as the nifty design. Their Brut Classic is lovely sipping bubbly, while it also pairs great with seafood and grilled foods. Again, perfect for this time of year. Be yourself; everyone else is already taken. You must check out this store the next time you are in Seattle. One of the best curated stores in the country, hands down. I follow your blog and just really enjoy it, it is so interesting and very well written, please keep it up, I feel like a guest in your home when I read it. You are a Seattle treasure, just like your amazing stores. It’s a dream of a book and one that will be as relevant in 5, 10 and 20 years, as much as it is today. A true testament to style and simplicity and your impeccable and thoughtful eye. It’s all in the presentation, Ted you’re a genius. Thanks for sharing such a place where I can run away from the world and dream. Your book is fabulous! I’m enjoying every page and have been talking about it non-stop. Watson Kennedy has become a Seattle staple in my book. Whenever I’m stumped for a gift or in need of inspiration, this is the store I head to. Watson Kennedy is a preview of heaven. How divine. I’m always in awe of the way you live, and enjoy, life. Just a note to say how much I genuinely enjoy your blog and look forward to it each day. It’s right there with the London Daily Mail on my agenda. It’s true, I bounce out of bed to see what Ted’s up to today… Thanks for being part of my day. You are an artist and a poet, a true Renaissance man. Watson Kennedy has won all sorts of awards for artful store displays, which makes absolute sense. A wonderful shop in Seattle called Watson Kennedy. How lovely your posts are! I received your book for Mother’s Day. It’s fabulous. A true gift! I used your “Style & Simplicity” Dempsey & Carroll notecards. They’re gorgeous! A virtual powerhouse of design expertise. Each word of the book is so lovingly spoken and your voice exudes such warmth and kindness. You are so genuine with your readers. And so interested in teaching them how to love… Love art…. Love nature… Love small things… Love friends… Love family… And love life. Ted’s ‘Style & Simplicity’ is absolutely Lovely (with a capital L)! It’s also charming, fun to read, and full of wonderful advice. Ted Kennedy Watson has a most refined sense of aesthetics…and he shares some of his best secrets, for which I am so grateful! Ted, and his namesake fine good emporiums Watson Kennedy are legendary in this town. What he does brilliantly is quality over trend, substance over vapid style. If you’ve ever wanted to walk through a stylized photo in a magazine this shop is a phenomenal fix for that as the merchandising is crazy delicious to feast your eyes upon. I feel like a kid in a candy shop every time I walk in the door. 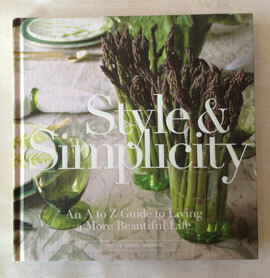 I ordered ‘Style & Simplicity’ and it was delivered to my home in Hermanus, South Africa. What a delightful book and inspiration! The Seattle tastemaker behind Watson Kennedy: a personally curated store with the absolute best gifts, treasures, home goods, and hand-selected music. Truly a visual feast for the eyes and palate. Thank you for sharing your abundance of “everything good”. We customers are transported to shopping heaven while in your store(s) and website. We’ve long been fans of Seattle retailer Ted Kennedy Watson and his first title certainly lives up to it’s stylish name. The lavish A to Z guide is bursting with tips on how to create a cozy, chic and inviting home.